Barcelona, a favorite city of many, many travelers was not one of mine. However, please hear me out before you begin to disagree with me! First off, I have only been there once, so when I visit again, which I will, I will go with a completely open mind. My dislike for Barcelona is based off one visit over a 3 day period on a trip I took to Spain in high school, which could very well have led to me not liking it since I wasn’t able to experience la marcha (nightlife) Barcelona has to offer. Plus, it’s not as if I’ve lived there or even stayed there for an extended period of time. I must also point out that there are other travel bloggers who also dislike Barcelona including Cat of Sunshine and Siestas. The weather when I visited was perfect: sunshine, warm, but not hot temperatures, and a cool breeze. Weather does not change my perception of a city because sometimes you just happen to be visiting on a dreary weekend. After all, I visited Lisbon, Portugal during a tropical storm. Now before I begin with my dislikes, I must say that I adored the art and architecture throughout the city. Antonio Gaudi’s work was flawlessly intermingled with plenty of other works. That was about the only thing I truly loved about Barcelona. Barcelona was too busy for me, and I like big cities. I felt as though there were simply too many people – tourists and citizens alike. There were also a lot of sketchy folks around Las Ramblas, which I understand is a tourist destination, but I was an attempted robbing victim twice while walking. It didn’t help that overall the city was not well lit at night, in my opinion. The Barcelona metro was dingy and full of the aforementioned sketchy people. However, I realize that many public transportation systems – subway or bus – can seem to be filled with people who are up to no good, especially to an American high school student who has not had vast experience on public transportation before. A friend I was with had someone attempt to rob him on the metro too. I was disappointed that I was spoken to in English. In all the other Spanish cities I had been in I was usually spoken to in Spanish first. In Barcelona, I found people speaking to me in English. 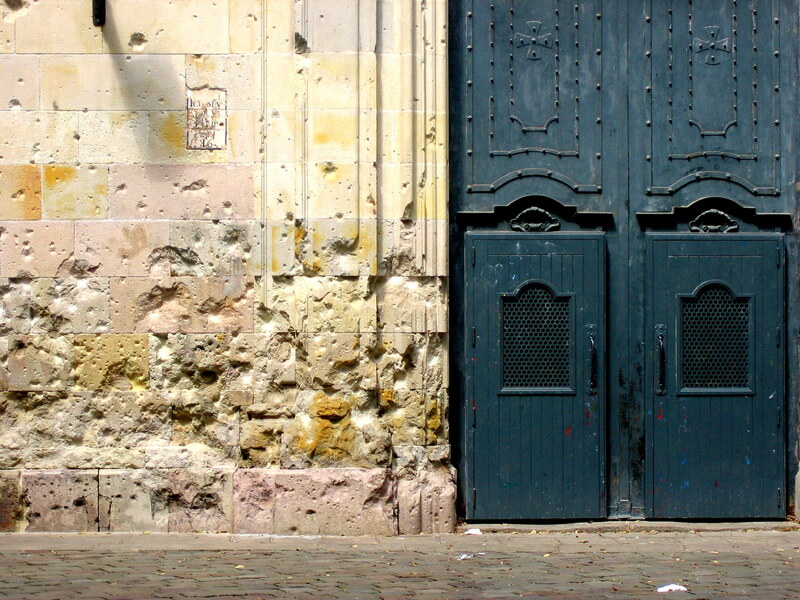 It’s an international city and more people speak English than in, say Burgos. However, I wanted more of the Spanish experience than I got in Barcelona. Now, being in Catalonia, I obviously realize that Catalan is the spoken language, and many Catalans do NOT want to be “Spanish.” However, I would have even appreciated being spoken to in Catalan first and then Spanish or English once it was realized I didn’t understand Catalan. Since I will be moving to Spain to teach English for a year in September, I will most likely be revisiting Barcelona with an open-mind, and all of these dislikes could very well be washed away as I rediscover a city I didn’t care much for the first time around. I am a person who definitely believes in second chances, and I am hoping that Barcelona will prove my initial perception of it wrong because I truly want to love the city that so many do. Plus, I want to experience Barcelona’s nightlife this time around! Have you been to Barcelona? What did you think of it? Is there anything you’d recommend for me to do when I return? I think it’s so funny how polarizing Barcelona is to so many people—visitors either love it or hate it. Personally I’m in the former category but I could definitely see why it could rub tourists the wrong way. It does seem to be an incredibly polarizing city. I’m really looking forward to giving it another chance though. I really liked your post on Gaudis architecture! I agree with your thought on Las Ramblas too! Ok…I’m going to sound like the biggest loser for saying this, but I don’t even that much of a desire to see Barcelona. I’ve never been(apart from a 12 hour layover in the El Prat), but it isn’t at the top of my list. If I am only earning 700 euros a month, I need to prioritize the places I want to see. I would rather see some of the lesser known parts of Northern Spain than spend all my money going to once city I am not that interested in. I get that I should probably go and see Gaudí’s works at some point, but for now I am content just puttering around the pueblos blancos in Andalucía. I will save Barcelona for when I have a higher paying salary! You definitely need to prioritize on 700 euros a month. I definitely think Barcelona is a place worth visiting if you have an interest, but if you don’t and are on a budget, then I wouldn’t go. Go somewhere that interests you even if it’s of no interest to others! I’m glad you’re willing to give the city a second chance. I wasn’t overly impressed when I blew through it in three days as part of a semester in Valencia while in college. 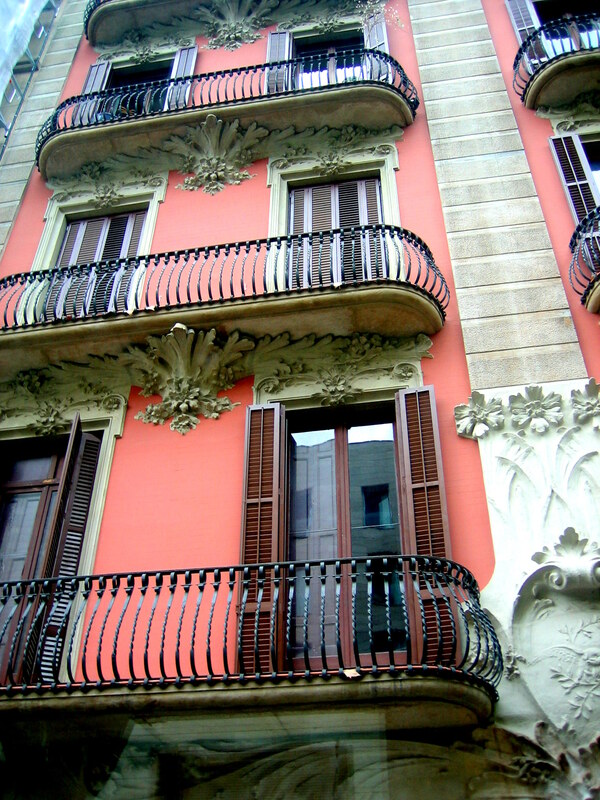 But then in 2009, I took a sabbatical and lived about four months in Barcelona (blogged at http://www.razorbarcagirl.wordpress.com – Sept-Dec. 2009), and absolutely fell in love with it. Other than the Ramblas (and a bit of El Raval), I didn’t notice any more “sketchy” folks than in any other large city, and the metro seemed like most I’d seen in other cities. Of course, it’s likely that the intervening four years of crisis have not helped that element. The marquee sights in Barcelona are impressive, but some of my favorite moments in Barcelona were in the streets and plazas around my neighborhood. I lived in Gracia, just a few blocks up Passeig de Gràcia from Casa Mila, and I spent a lot of time sitting in cafe/bars and talking to the locals. I agree with Trevor that Passeig de Gràcia makes for a great paseo, though I also love El Born and the surroundings of Santa Maria del Mar. People generally spoke Spanish to me, but perhaps that was because I usually spoke it to them first. I can’t remember anyone ever approaching me in English. I wonder if it was mostly because you were traveling in a group of high school students? I imagine that would stand out. One thing that might add to your appreciation of the city would be reading about it, even in fiction. Carlos Ruiz Zafón’s Shadow of the Wind and Cathedral of the Sea by Ildefonso Falcones are both great for that. I read Shadow before I went and absolutely loved it. P.s Your description of first seeing the Guggenheim Bilbao was right on–I felt exactly the same way!! Thank you Regina! I’d love to apes an extended period of time in Barcelona, or any city for that matter. I’m hoping that when I return my opinion of Barcelona will change. The whole being on a high school trip part of it may have led to the dislike. I’ll check out those books you recommended too! It’s cool you felt the same way about the Guggenheim in Bilbao as I did! I can completely understand where you’re coming from! It wasn’t my favorite city in Spain after the first visit, but after subsequent visits it has definitely grown on me. Still plenty of things about the city that annoy me quite a bit—notably the excessive amount of touts and petty thieves. Thanks Adam! I will definitely be giving Barcelona a second chance, especially because I want to experience its much lauded nightlife. It took me several weeks to fall in Barcelona but I did and am, definitely give it a second go Mike! I was mostly spoken to in Castellano (I accredit that to my skin tone and hair, people assumed i was Cuban, Puerto Rican, or Dominican) other times in French lol. But yea, metro systems almost everywhere have dingy people unless the trains are off to the suburbs for the most part, there are many beautiful areas in Barcelona to spend time. Take a walk down Avenida Diagonal, relax at cafes on the beach(Barceloneta) taking a lift ride up to view the city from a cable car at Montjuic then walking up to Montjuic castle to gaze at the Mediterranean ocean and again take in a full view of the city, witnessing magic fountain at night in Plaza Espanya, a picnic with friends at Parque Ciutadella, eating spanish food and sharing bottles of cava in Can Paixano (a stand up only restaurant/bar where you’ll meet foreigners from just about every part of the world), then the incredible nightlife! Ice Barcelona (A bar made entirely out of ice AWESOME), Opium, Shoko, Razzmatazz, Otto Zutz…I could go on and on and on about the greatness that lies in Barcelona :0] damn I miss that city. Might I add, I’ve never even visited Gaudi attractions….kinda pathetic I know, as much time as I’ve spent there lol, I’m sure my parents took me as a kid tho…. Thanks Careese! I will definitely use your suggestions when I do visit again. It’s a city I want to love, which is why I definitely want to give it a second chance. That’s too bad that you didn’t click with the city. Barcelona is actually one of my favourite European cities – I love the architecture, the style, the beach, all the little tapas. That being said, I do see a point with your cons. I will certainly be giving Barcelona another chance sometime this year. You and so many others love it, which is why I want to give it another go. Thanks for reading Audrey! Haha you probably already know my opinion on Barcelona…but I do get why some people don’t like it. If you go at a busy time, the crowds at the major tourist attractions can be a little overwhelming, and they do speak a TON of English in the city center. Plus, sometimes in the city center you can easily either stumble upon a street full of great cafes…or a super overpriced, touristy one that’s right next to it. Careese is right, Montjuic and Can Paixano (a.k.a. La Xampanyeria) are great. Plus, you just can’t do Barcelona without the nightlife! Hit up Nasty Mondays at Apolo or weekends Razzmatazz. Let me know if/when you come! Thanks Jessica! I will definitely let you know when I come. It’s a WHEN, not IF. 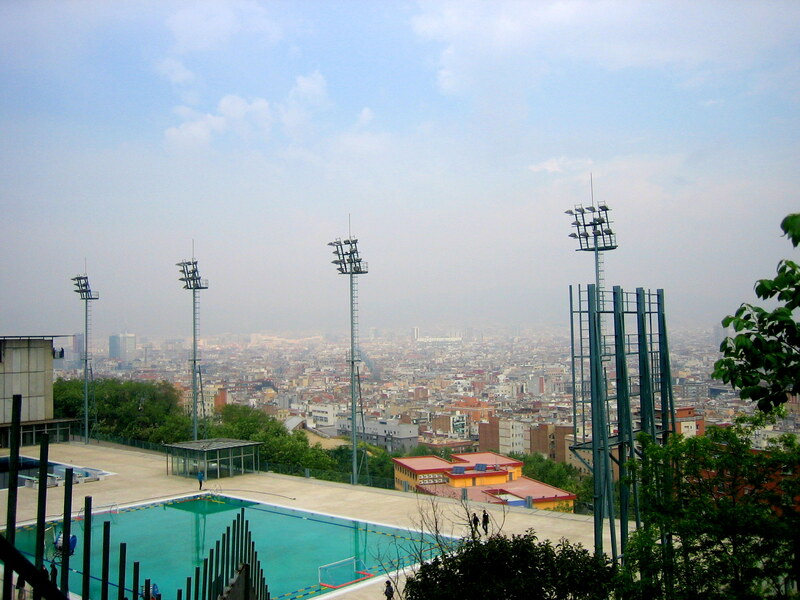 I want to love Barcelona, and I think with all these wonderful tips I will be able to. Ah!! Nasty Mondays!!! I can’t wait to come back next month ^_^. I’ll definitely have to check this out since it’s getting such rave reviews. Also, you’re going there next month Careese?! It’s a shame you didn’t have the best experience of Barcelona bud! I personally love the place, and am heading over for the fifth time in a few weeks! Hope you enjoy it more second time around. That’s very true about people and differing opinions! I really do hope to love the city though as I feel it has so much to offer. I’ve been to Barcelona, twice. Okay, the first one doesn’t really count as I never left the train station. I still kick myself for not ever visiting Barcelona while I studied in Madrid for an entire school year. and that was before I learned how scary it was! We started our family trip there 3 years ago and we all really enjoyed it. Except for the scary early evening we attempted to go to Montjuic and the funicular(?I think?) was closed and deserted. Oops. I’d agree with Trevor up there regarding Ciutat Vella/Barri Gòtic. Loved that area! If you’re a Picasso fan, do NOT miss the Picasso museum. oh. my. gawd. It’s fabulous!! I wish we had seen more Gaudi, so that’s on my list for next time and I’d also recommend anything and everything Gaudi. You can stay away from Las Ramblas since you’ve already experienced what it has to offer. Sorry about your experience there. Boo! I’m glad you’re going to go back. I hope you have a better experience next time. And I have to add this as it comes up frequently: if I had to choose between Barcelona and Madrid, Madrid wins every time. But I did really enjoy Barcelona and can’t wait to go back! I felt the exact same way about Barcelona! It seemed as though I was constantly stepping into a stranger’s photo. I found the tourists in Paris bearable (even likable) as they seemed to really become a part of the city. Barcelona, on the other hand, felt artificial and the tourists seemed greedy and trigger happy. I definitely know what you mean. I’m planning on giving it a second try though when I get a chance. I understand your feeling and I won’t get hurt by your impression about Barcelona because I still love the city to some extent… yes, there are things that disturb me about it. Let’s see how it’s going to be like on my third visit in February. My question is: Would I learn to love it or completely dislike it? I will learn to love it for the city that it is. Every city has its unique quirks that make it its own. I was only in Barcelona once about 8 years ago, so I will certainly give it another shot. However, you only pay attention to dirty streets, weird people, too many tourists, people speaking English to you ( when u obviously look as a foreigner and they are trying to be nice), etc as bad things when they don’t like the place. I lived in Paris too, and I’ve heard the same type of arguments to say the same about Paris or/and the same type of logic. Some people hate Paris because French people don’t make the effort to speak English. It’s just that they didnt like Paris, and so they look for arguments to justify it because they feel they have to since the majority loves it. It is even more true for Barcelona, which is surely by far the most loved city in Europe by Europeans and non- Europeans. It’s just amazing how universal it is. Not even Paris gets as much praise as Barcelona in my experience working with tourists. You don’t have to justify. You have the right to not like it, and it’s totally ok. So, in your place, I would stop looking for reasons to love it. It’s just not your type of city. Barcelona is a young, party lover, beach lover, sun worshipper, hippie soul person kind of place. If you are none of these, you won’t like it. Even the art world in Barcelona is non conventional. So, it is not even a sure thing for art lovers. Barcelona just did not do it for me either, I tried and tried. So far we have the same taste in destinations, so I will follow your blog and your recommendations with a fine tooth comb! Hi Jim! I’m glad you’ve found our tastes to be similar and will continue to follow along!